Cancer diagnosis is a life-changing event for all families. 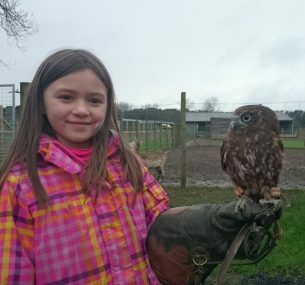 Caroline had been unwell for six months but we never considered it was cancer. She’d lost her appetite, complaining occasionally of earache. She developed a lump under her left ear but the pain was never enough to call the doctor. In January 2017, the GP diagnosed a swollen gland, prescribing antibiotics for an ear infection. After four further visits, while a pencil-like lump developed on Caroline’s tongue, I exploded on February 27. Caroline had suffered a weekend of agony. During a 12-minute conversation persuading the GP to see Caroline, the doctor asked my concerns. I nearly screamed “a brain tumour or leukaemia” but Caroline was close so I waffled about mumps, glandular fever and trigeminal neuralgia. Caroline’s lips had developed pins and needles that morning. Finally she had blood tests. Looking back I knew it was cancer from the moment we entered the hospital. Nothing has been the same since. After triage the Paediatric Director examined Caroline and I’ll never forget the moment he said: “That’s not a lump on her tongue, its muscle wastage”. It meant nothing, but his face stated the real news. We are blessed that he was on duty then. It transpired that something was pressing on Caroline’s tongue nerves. They did an ultrasound and my husband brought sleepwear. We were bewildered and emotionally exhausted. Next day we were transferred to Paediatric Oncology at the incredible Great North Children’s Hospital at Newcastle’s RVI for an MRI. Caroline had a soft palate biopsy under general anaesthetic. There aren’t words to describe those days. 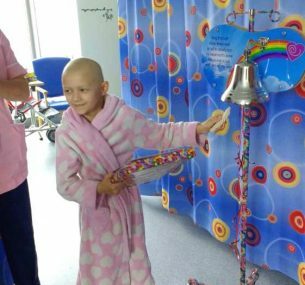 Caroline’s fighting spirit was apparent from the start though; on discharge she danced in her pyjamas, dosed on morphine pain relief. Her voice diminished rapidly until she could barely be understood. Five days later we met the consultant oncologist, who delivered the devastating news and was our rock throughout her treatment. I kept saying ‘It’s ok’. The consultant said: “None of this is OK. No parent should have to hear that their child has cancer.” This was 6 March. Nine months of treatment began on 8 March with two days of drugs every 21 days, a weekly interim dose for the first six weeks. Chemotherapy and its appalling sickness floored Caroline, worsened by the morphine and anti-sickness steroids. Drugs upon drugs upon drugs caused a massive shock to her system. It was unbearable; heart-breaking to witness her suffering and unspeakable to watch the chemotherapy ‘poison’ pumped into her. Hair loss was a psychological trauma for Caroline. We cut a plait for her to keep and she stopped brushing her hair on learning it would fall out. She slowly came to terms with her baldness despite worries that the hair might re-grow a different colour or curly. 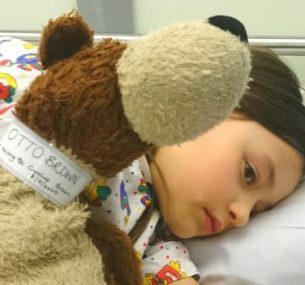 In May we left friends and family for 10 weeks of proton beam radiotherapy in America – deeply stressful. 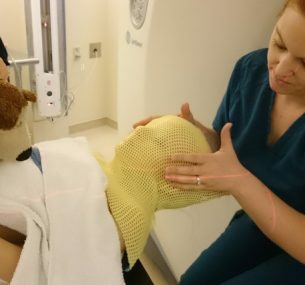 Caroline endured a daily dose of radiotherapy wearing a full face mask, for 31 consecutive days. These were some of the darkest times of our lives whilst the good days felt like a wonderful holiday, a truly bizarre experience. We returned to the UK for three final chemotherapy rounds. Treatment officially ended on 25 August 2017. 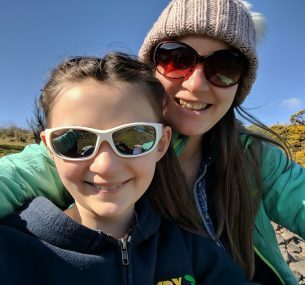 A tense wait for the post-treatment MRI results revealed on 18 October 2017, that Caroline was in remission. The news was stunning; too much to take in. Caroline was withdrawn until we got home when she suddenly grabbed me for a rolling-around hug yelling: “Yeah!!! !” repeatedly before going onto the trampoline and literally jumping for joy for about 10 minutes. There were many, many tears. Cancer has left Caroline with various side effects which may increase over time including possible infertility and a paralysed vocal cord. Incredibly, the remaining cord has compensated. Caroline can’t shout but her diction is virtually normal, as is her hearing which was initially affected. Speech therapy will avoid complete voice loss and hormones are monitored around puberty. It’s believed she has neurofibromatosis, predisposing her to future lumps. Three monthly MRI and chest X-rays check for spread while annual neurological tests monitor cognitive damage from the radiation. Treatment also slows bone growth so by her teens Caroline’s face will be asymmetrical for which reconstruction may be needed. Her teeth are checked three monthly for growth and blood supply which radiation affects. A radiotherapy report will determine the exact target areas and any other side effects e.g. eye damage. Caroline’s central line was recently removed and she can’t wait to swim again. Her hair is growing back thick, fast, silky and as straight and dark as before which she loves. The future is unknown, there may be problems but Caroline is alive and that is all that matters. Caroline hopes to help other cancer kids by writing her journey through the eyes of her teddy, who accompanied her every step of the way. Caroline has had a fabulous few months. She’s at school three days a week and loving it, including a whole day’s beach school each week. She’s become a Sixer at Cubs after attending two camps last summer, one an international jamboree. She’s also learning ukelele, dancing and pony riding each fortnight and has built up swimming distance since her line was removed to several hundred metres. 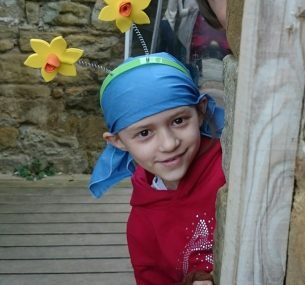 She has set up a gardening club with friends in our new garden and is doing a three mile run in May to raise money for children’s cancer research. Health wise she is still very tired (from treatment as well as the underlying Neurofibromatosis that the doctors believe she has). Her speech is virtually normal though the left vocal cord is still paralysed and will probably remain so. She gets nerve pains on and off from one of the chemo drugs (Vincristine) as well as the Neurofibromatosis. Everything else is being closely monitored and all MRI scans are currently clear. She loves her new hair too.